Open wide! Here's a large geode slice with mostly white an some black crystals inside! 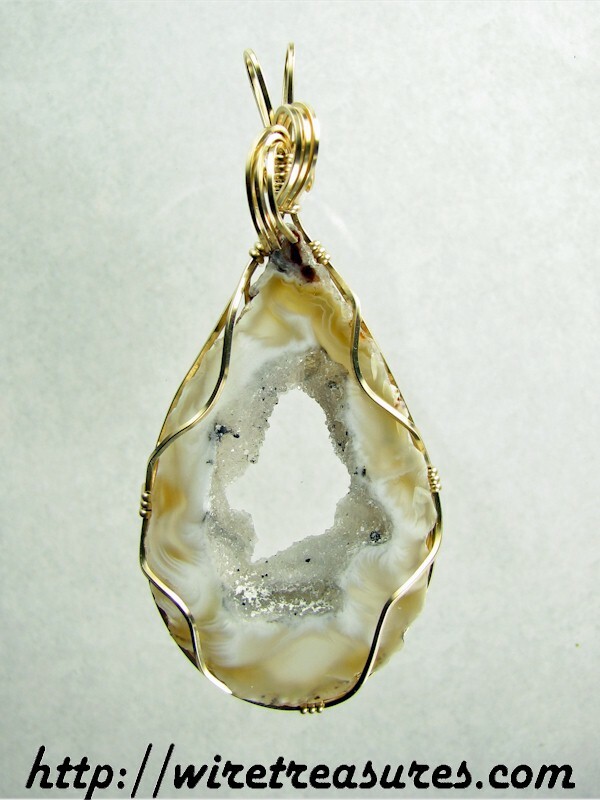 The Geode has white coloring with translucent gold around it. This one is very nice! The 14K Gold Filled wire dominates in the photos, but in person the geode itself stands out more. Polished on both sides, no one will notice if this pendant flips over while you're wearing it. Wow! This pendant is 2-7/8 inches high and 1-1/4 inches wide. You are visitor number 719 to this page.